Probably the first signing of January, Argentina and Boca juniors attacker has reportedly agree personal terms with Chelsea, per the Metro. After winning the Argentina League, the striker was tipped to moving away from Argentina to Europe and Chelsea have be tipped to be his most probable career destination after Inter Milan appeared in the chase for his signature. Calleri 22, was reportedly on the transfer helm of Chelsea in the summer but the striker opted to complete the season with the Argentine outfit. However, Chelsea’s failure to sign him meant they had to shift their attention to Falcao. The report stated that Calleri is valued at £6 million and Chelsea are willing to meet his valuation after he agreed the personal terms before January. 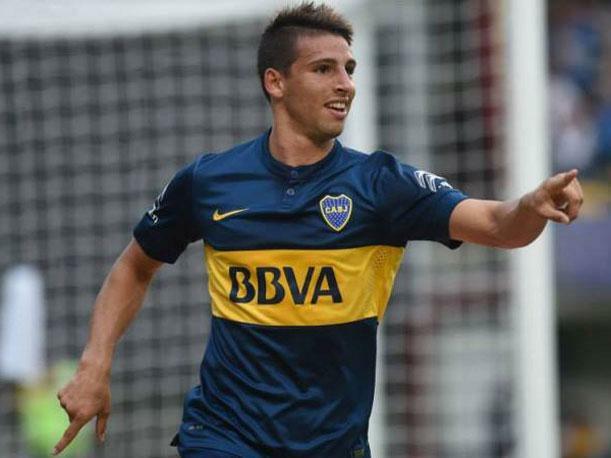 Calleri scored 21 goals for Boca Junior in all competitions in the past season. Should he finally make the switch to Chelsea, he will be played ahead of Falcao who has been dismal from the inception of this season. It is believed that Falcao may even be ousted as he has failed to live up to his bidding. Chelsea have endured a shambolic season thus far and they are bound to be rooting for players in the transfer market that can secure their Champions League qualification. Calleri has been tipped to becoming a success.